Yes, it’s an adorable paper Thanksgiving craft. But it could be SO MUCH MORE! Imagine doing this with your 5th or 6th graders. You first tell them to make a turkey, using any shapes. 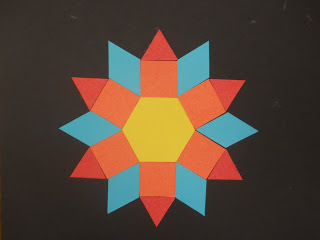 number of triangles, rectangles, squares, trapezoids, etc. Number of vertices, edges, etc. Anyway, I thought this would be a cool way to merge math and art. Know of any other great Thanksgiving crafts or activities for kids? Let me know! 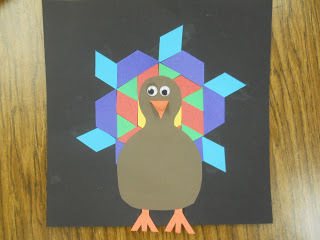 This entry was posted in Holidays/Seasons, Math, Thanksgiving/Fall and tagged angles, Children, Education, Elementary School, Homeschool, Kids, Math, mathematics, shapes, Teacher Resources, Teachers, Teaching, Thanksgiving, Thanksgiving/Fall, turkey by Squarehead Teachers. Bookmark the permalink.